What’s a GEO? It’s probably the best known type of comprehensive environmental diagnosis available. “GEO” was the acronym for “Global Environment Outlook” first prepared by the in the mid-1990s. The fourth edition of that global report was released in November 2007. After the success of the global report, it was decided to do a series of assessments/outlooks at the sub-global level using a similar format and methodology, with each report an open, collaborative efforts between governments, civil society, experts, academics, etc. This included country-level GEOs, among them many Latin America and Caribbean (LAC) nations (you can find a Temas list of them here). 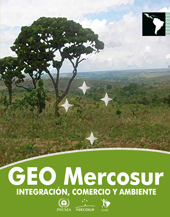 It also included GEOs for the Andean Community (CAN) and Caribbean Commuity (CARICOM), but until now, one for Latin America’s most important common market, MERCOSUR, was notably missing. 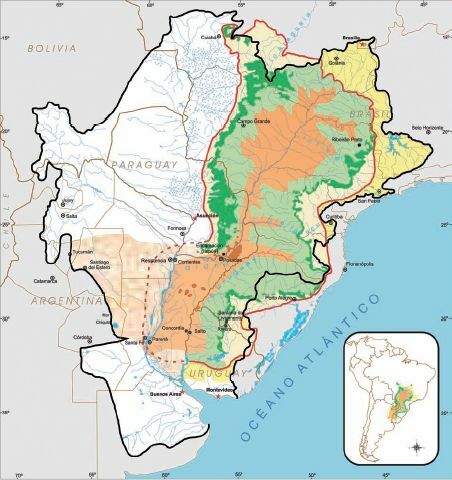 The MERCOSUR GEO is unusual for two reasons: (1) it includes a non-member nation (Chile, which has only associate member status with MERCOSUR) while excluding soon-to-be member Venezuela; (2) it focuses heavily on the interaction between economic integration, trade and the environment (most GEOs do not). 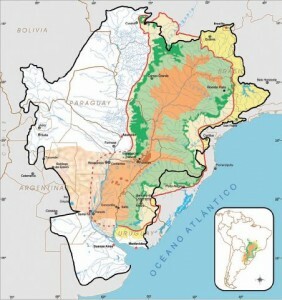 Subtropical forests in the Yungas are in a critically threatened state, particularly due to agricultural conversion such as sugarcane and, more recently, soy and forestry exploitation. The Atacama and Sechura deserts are vulnerable as a consequence of urbanization, mining activities, road construction, cattle farming, commercial plant collection and erosion. The Espinal in Patagonia is critically threatened; although having a low human population density, it has been affected by overgrazing. The Valdivian temperate forests are considered critically threatened in view of the fact that a third of their original coverage has been lost. tropical forest conversion (such as Amazonia) or wooded savannas (such as El Cerrado) for agrofuel production will result in a net carbon deficit since the CO2 emissions generated will be greater than the emission of greenhouse gases saved by using such fuels. mechanisms for access to information and participation by the public need to be strengthened. Bad Behavior has blocked 1456 access attempts in the last 7 days.